Will Lowe's Blogtails: Hot Toddy Time? The first few months of the year always feel a little down-beat. Christmas and New Year’s celebrations are but a distant memory and the weather remains dark and gloomy for the foreseeable future. To add insult to injury, everywhere you look people are sniffling and sneezing their way through the day. But there is light in this wintery tunnel, and it’s jolly tasty. 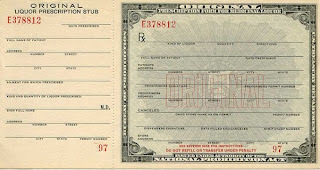 For centuries, alcohols in various forms were celebrated for their medicinal benefits. 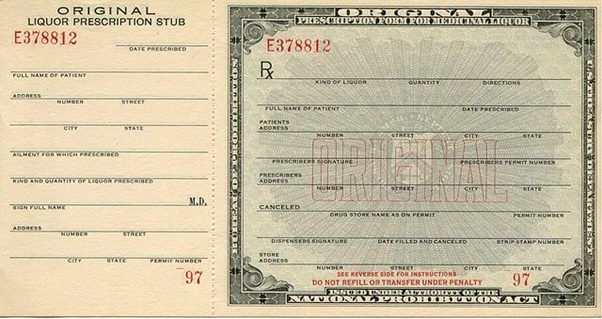 Even during prohibition in the USA it was possible to obtain a prescription from one’s doctor for whiskey (or ‘medicinal liquor’ as they termed it). These days we tend to see alcohol almost exclusively as unhealthy, even with the advent of ‘low-calorie cocktails’ and ‘weight-watchers wines’ but, clearly, this was not always the case. Indeed, total abstention from alcohol does not appear to manifest any health benefits over occasional drinking, even by today’s rigorous scientific testing. One of my favourite ways to chase away the winter blues has always been the Hot Toddy. The drink is as old as the hills and, as ever with long-established recipes, the variations on the theme can be counted in their hundreds, if not thousands. For as many people as there are who enjoy a Hot Toddy, there are quite possibly as many recipes; each person finds their own favourite whisky to use, ratio of sweetness to citrus, or secret ingredient. With so many variations abound, I see little value in try to establish the ‘original’ or ‘classic’ preparation. Instead, let us celebrate the diversity and evaluate the qualities therein. For clarity, I would like to state that I have no medical training whatsoever. I am, however, a distiller and a huge fan of this particular drink, and have experimented with the recipe on more occasions than I care to remember. I have even begun to develop a few different preparations which I vary depending on quite how unpleasant I happen to be feeling! As with all of these recipes, allow the water to cool slightly after it has boiled. Keeping the temperature below 75C will avoid all the alcohol simply evaporating away. The powerful combination of the peaty, smoky character of Laphroaig combined with the intense flavour of cloves should be enough to cut through any congestion and remind you what it feels like to actually taste something. Then... Once you have stirred all of these ingredients into a mug, drop in an Earl Grey tea bag for about 20 seconds. Don’t stir it or squash it: just allow it to sit and infuse, then pull it out again. The soft, floral notes of this preparation make a concoction I have always found to be extremely soothing. Don’t try this one just before bed – it really is quite an effective livener! So don’t let winter get you down, it’s not all bad. Embrace the opportunity to wrap up warm and spoil yourself a little. And don’t worry - before you know it we’ll all be drinking mojitos in the sun again.